Where to go for tamales in Boyle Heights and East L.A. A Los Feliz Brazilian restaurant is merging with a neighboring Italian wine bar. 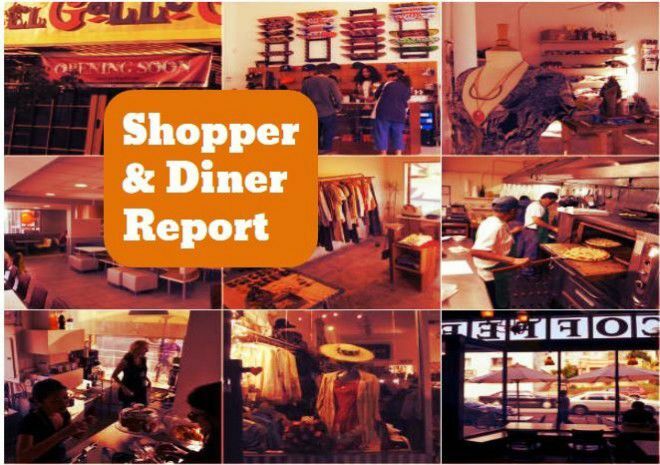 And Pollo Loco is gone, Yolk Design Store has arrived and more Sunset Junction storefront news. Are you on the hunt for Christmas tamales? Head to Boyle Heights East Los Angeles, LA Taco reports. The recommended spots include La Mascota in Boyle Heights. Word has it that the mole tamal and tamal rojo are delish. Meanwhile in neighboring, East L.A., Tamales Lilianas offers a “killer” tamal verde. Carniceria Uruapan, La India Tamales and Los Cinco Puntos also make the list. La Mascota is at 2715 Whittier Blvd in Boyle Heights. Tamales Lilianas is at 4619 E. Cesar in East L.A.
Italian and Brazilian fare come together at Farfalla Vinoteca e Birreria in Los Feliz. The concept is from rJohn Borghetti, who is combining his Vinoteca Farfalla Wine Bar and the adjacent Tropicalia Brazilian Grill into Farfalla Vinoteca e Birreria. Executive chef Sante Coccia joins the food fusion venture, which will continue to serve old favorites — such grilled, marinated half chicken, empanadas and risotto new dishes, like Pepata Cozze e Vongole with mussels, clams and cannellini bean soup. The new restaurant will also feature new lighting, seating areas, a semi-private wine room and revamped music system. Farfalla Vinoteca e Birreria is at 1966 Hillhurst Ave. in Los Feliz. The Silver Lake Pollo Loco has shuttered. The restaurant is currently boarded and signs were posted directing customers to the Pollo Loco on Vermont Avenue. What happened? A company spokesperson said the restaurant was damaged by a fire on December 2 and will not reopen. Some members of a local Facebook group lamented the loss of the affordable dining option in the neighborhood. Yolk Design Store, a gift and homewares shop, has opened a second Silver Lake store in the former Bar Keeper space. On the same block as Yolk, Creatures of Comfort, the high-end women’s apparel store, has shuttered only a year after it hosted a swanky grand opening party attended by several of its celebrity clients. The closure comes as the entire company plans to end operations this month. It’s not clear what’s going to move in but the space was listed for lease at nearly $12,000 a month! Across the street, a sign for California Sun has risen above the former Mixed Company — the restaurant that lasted less than a year. California Sun, with a logo that resembles a melting sun or paint ball splatter — is a “pizza-focused project” by Tony Yanow, said Eater LA. Yanow also started Mohawk Bend in Echo Park as well as Golden Road Brewing in Atwater Village, which he sold to beer giant Anheuser-Busch InBev. Yolk Design Store is at 3910 W. Sunset Blvd. Creatures of Comfort was at 3902 W. Sunset Blvd. California Sun is at 3903 Sunset Blvd.